The two strains of dog flu virus that can cause our dogs to become sick are H3N8 and H3N2. The H3N8 virus originally was an equine (horse) influenza virus that has spread to dogs, mutated, and can now spread between dogs, causing a respiratory disease called canine influenza. Canine influenza is a disease of dogs, not of humans. The virus is quite different from the swine flu or bird flu that can infect people. The number of dogs at risk of dying from this virus may be anywhere from 1 to 10 percent. How Does Dog Flu Virus Spread? The virus is transmitted by direct contact with an infected dog's nasal secretions (through sneezing and coughing) and also through direct contact with contaminated materials such as beddings, food and water bowls, etc. If your dog is coughing or showing other signs of dog flu, do not bring your dog to facilities where other dogs can be exposed to the virus. Overcrowding, so dogs boarded in kennels are more at risk of being exposed to and infected with the flu virus. Stress - just like us, stressed-out dogs have suppressed immune systems, making them more susceptible to infections and other diseases. 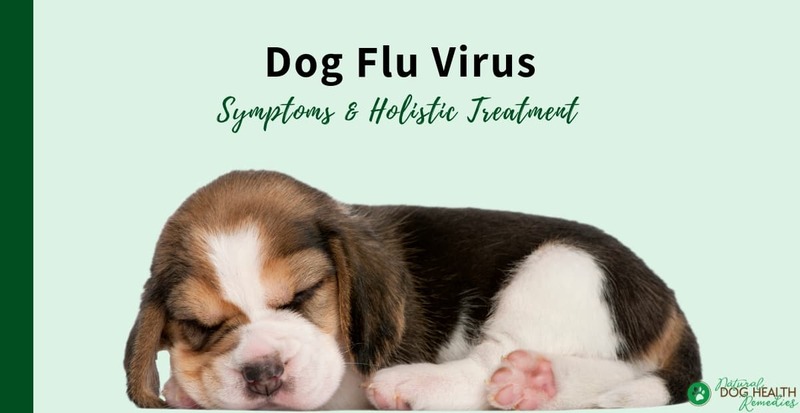 The virus has an incubation period of 2 to 4 days, which means after a dog has been exposed to the virus, the dog will show flu symptoms 2 to 4 days later. The symptoms last for about 7 days. During this 7-day period the dog is infectious. In serious cases, it can progress to pneumonia as the flu virus opens the respiratory system to secondary bacterial infection, resulting in bacterial pneumonia, which can become life-threatening. Dog flu usually is not serious and most dogs infected with the flu virus will recover with no treatment. Antibiotics: This may be prescribed if a secondary bacterial infection is suspected. Intravenous Fluid Therapy: To ensure that the infected dog is well hydrated. Other Medications: Other medications to make the dog more comfortable, such as cough suppressants, may also be prescribed. In May 2009, the first dog influenza vaccine against the H3N8 strain (developed by Intervet/Schering Plough Animal Health Corporation) has been approved by the USDA. 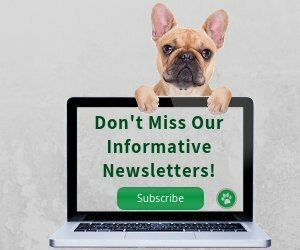 According to Petmd.com, in 2015, a vaccine against the H3N2 strain was also made available. The effectiveness of the vaccine doesn't last forever. Annual re-vaccination is needed. Just like the human flu vaccine, dog flu vaccine does not 100 percent prevent a dog from getting the flu. But it does reduce the seriousness of the symptoms and the duration of the illness. Should You Vaccinate Your Dog Against Dog Flu? I guess we all agree that over-vaccination can be harmful to dogs, so weigh the pros and cons carefully before vaccinating your dog against the dog flu virus. If your dog is not frequently boarded and lives a relatively stress-free life, you most likely do not need to vaccinate Fido against the flu. If you have an older dog, or a dog with a weakened immune system, talk to your vet to see if vaccination is advisable. Natural remedies such as herbs, minerals, and vitamins can be used to support the immune system of a dog infected with the flu virus. By strengthening the dog's immune system, he will be more ready to fight off the virus and the infection will not last as long and the symptoms not as serious. Herbs that strengthen and support the immune system include echinacea, astragalus, cat's claw, as well as various mushrooms. In particular, reishi, maitake, and shiitake mushrooms have been found to have high levels of polysaccharides which have immune-enhancing properties. Vitamin C is an antioxidant and can also boost the immune system so that the body can fight off diseases. In addition, other antioxidants such as vitamins E, Coenzyme Q10, and green tea have been found to be effective in immune support. You may also try using colloidal silver to help your dog fight the flu. Colloidal silver is like a natural antibiotic - it has strong antimicrobial (antibacterial, anti-viral, anti-fungal) properties and is effective in strengthening a dog's immune system. This Chinese herbal formula is very effective in reducing phlegm and decreasing coughing, as well as supporting the digestion system. Rest: If your dog has got the flu, make sure that she has enough rest. Restrict and limit the amount and intensity of exercise. 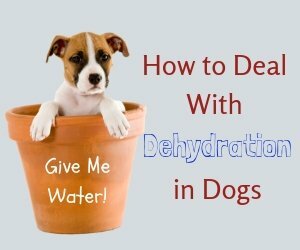 Prevent Dehydration: Give your dog plenty of fluid to prevent dehydration. If your dog does not want to drink water, add a bit of flavor to the water (e.g. chicken broth ) to entice her to drink more. Avoid Irritants: Keep your dog away from environmental irritants and pollutants (e.g. cigarette smoke, house dust, etc.) as much as possible. 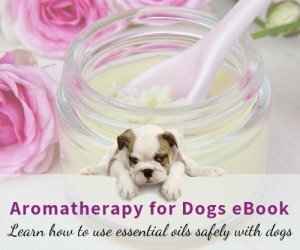 Use Essential Oils: If your dog is coughing, use essential oils to soothe and calm your dog. Essential oils that have antibacterial and antiviral properties, such as oils of lavender, eucalyptus, and niaouli, are effective. Add chamomile essential oil for its calming effect so that your dog can relax and rest better. Add these oils to a diffuser or vaporizer and use it in the room where your dog rests. Use Homeopathy: Use this natural homeopathic remedy Newton Homeopathics Cough - Airway to help soothe the cough. Avoid contact with dogs (and other animals) that may be shedding the flu virus. Avoid unnecessary vaccines and topical flea and tick preventives during a flu outbreak as these can weaken a dog's immune system. Feed your dog a well-balanced, natural diet. Consider using supplements (e.g. salmon oil, probiotics) and natural herbs (e.g. dried herbs of oregano, thyme, rosemary, turmeric) on a regular basis to help boost the dog's immune system and fight inflammation, bacteria and viruses. Make sure the dog receives regular exercise. Pssst! 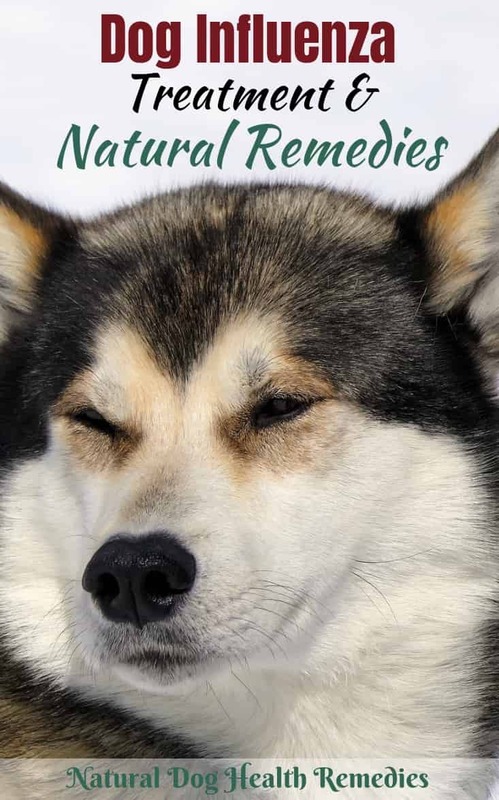 If your dog is having the flu and is coughing, you may also want to consider using different natural remedies to ease his cough.